Johnstone Justice. Made in America. An ordinary boy with extraordinary dreams. A man whose legend spreads across the frontier. 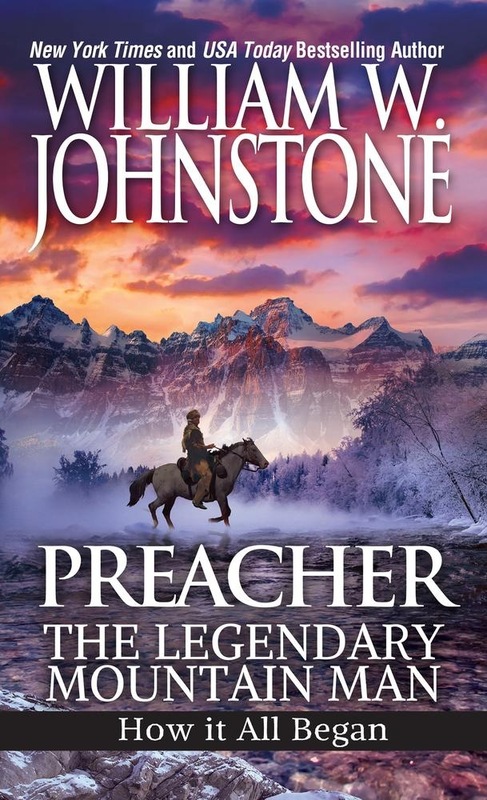 Ride the epic saga of an American hero and the battles that forged his soul in these classic tales in the legendary Preacher series. In 1812, a boy filled with wanderlust and courage runs away from home, westward, into a vast, dangerous land. Along the way he learns the rule of the frontier: do whatever it takes to survive. By the time the boy—now a young man—is hired to lead a wagon train through the last leg of the Oregon Trail, he has acquired a nickname known throughout the West: Preacher. Armed with a long gun, he is as fierce as the land itself. For the brave pioneers who are counting on this mountain man to lead them to a Northwest paradise, the Preacher’s cunning and fighting skills will mean the difference between life and death. But even Preacher can’t see all the dangers ahead, or how his legend as a frontiersman will lead him into the most violent fight of all . 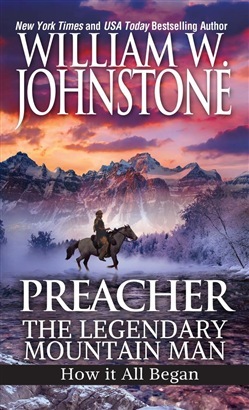 . .
Acquista Preacher: The Legendary Mountain Man in Epub: dopo aver letto l’ebook Preacher: The Legendary Mountain Man di William W. Johnstone ti invitiamo a lasciarci una Recensione qui sotto: sarà utile agli utenti che non abbiano ancora letto questo libro e che vogliano avere delle opinioni altrui. L’opinione su di un libro è molto soggettiva e per questo leggere eventuali recensioni negative non ci dovrà frenare dall’acquisto, anzi dovrà spingerci ad acquistare il libro in fretta per poter dire la nostra ed eventualmente smentire quanto commentato da altri, contribuendo ad arricchire più possibile i commenti e dare sempre più spunti di confronto al pubblico online.